Directions: In the center of the city of Bath, not far from Bath Abbey is Pulteney Bridge. This picture was taken from wall along the River Avon between the Parade Gardens and the bridge. 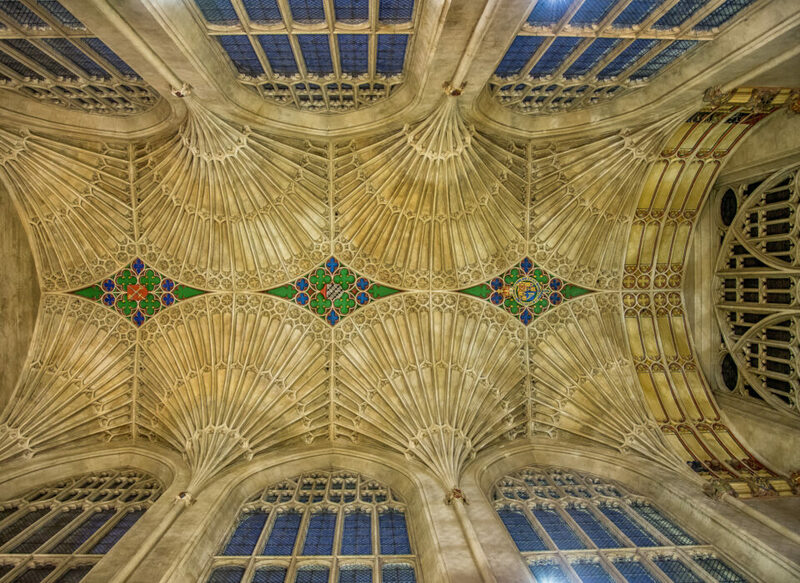 The city of Bath is a wonderful place to visit – both for exploring the history and the numerous photographic opportunities. Pulteney Bridge which crosses the River Avon (not the same one as found in Shakespeare country) is beautiful at any time of the day. 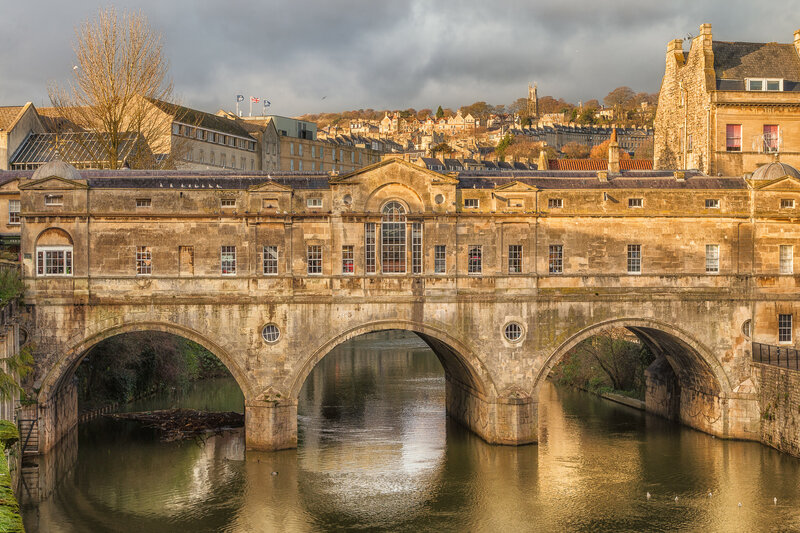 Like much of the city, the bridge is built using Bath Stone, a gorgeous golden limestone. So needless to say, it is probably best photographed when the light is golden. I took this picture near the end of the day. This was taken with my Nikon D600 using a 24-120mm lens with an aperture of f/13. 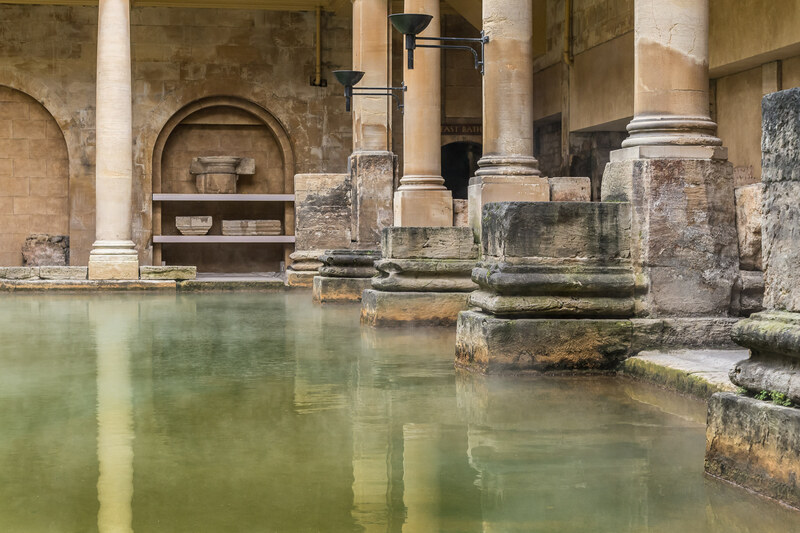 If you go to Bath, tour the Roman baths, the abbey and explore the history of the town. So much of the town has wonderful opportunities for photography. Those are very nice images, I love aged architecture like this.